Petit Blanc is a wine that is lithe but not light. It is fun and free of heavy-handed winemaking. No new oak, no malolactic fermentation, no battonage, no nonsense. A wine that hits way above its weight and delivers a strong quality/price ratio. A wine that you can readily be opened on a weeknight and pair with a variety of cuisine without putting a dent in your wallet. The 2017 vintage of this unique blend is Sauvignon Blanc, Pinot Gris, Viognier and Chardonnay (unoaked) dominant. Few other aromatic varieties like Muscat, Marsanne and Roussanne are in the blend making the whole greater than the sum of its parts. Green Citrus fruit, gooseberries, currants and touch of tropical fruits greet you on the nose. While orchard fruits are tasted on the mid palate, the finish and the core of this wine is citrus and gooseberry dominant. 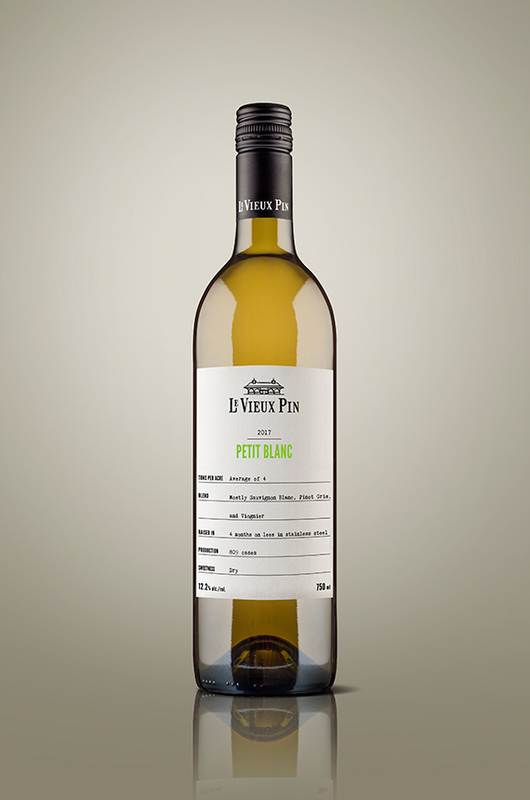 Petit Blanc is extremely versatile with virtually endless pairings. We enjoy an endive salad and a fruit and cheese plate on for a sunny Sunday brunch, or orange roughy, quinoa and bacon wrapped scallops on a Friday evening. This blends every white grape on the property including Rhone varieties, sauvignon and pinot gris. It hasa lot going on for the money with quite complex aromas of pineapple, citrus, mint and fennel. It is medium weight, fairly creamy yet nicely fresh with very good flavour depth. More here than I expected, and not all that ‘petit’.